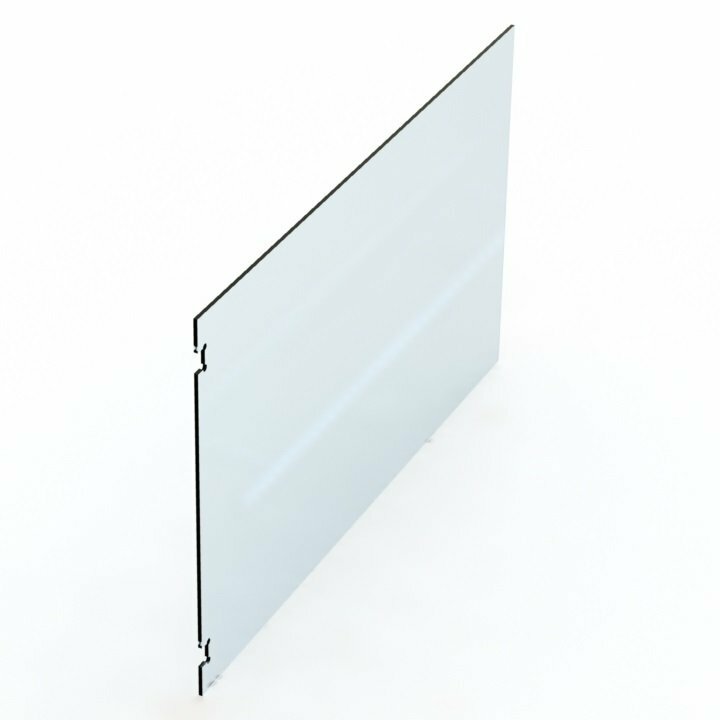 Glass Panels with custom cutout to allow for a perfect fit of Polaris hinges. 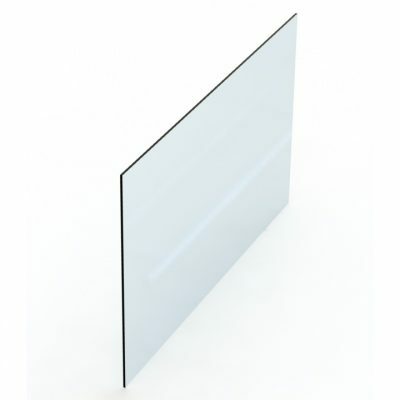 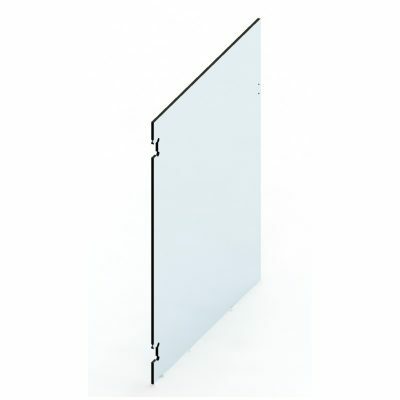 The Polaris hinged panels are available in 100mm increments between 1000mm and 2000mm. 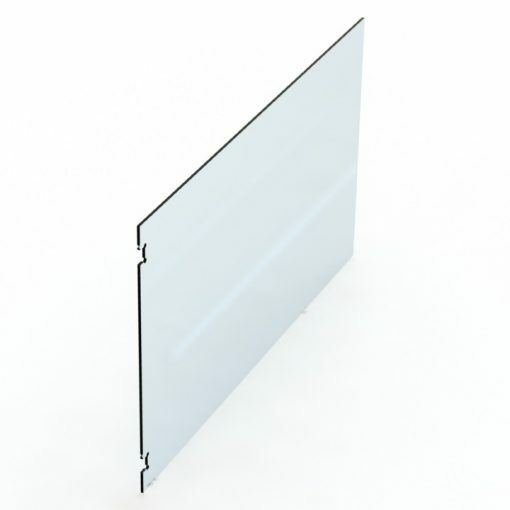 This range of sizes allows you to configure your standard and hinge panels such that you can get a consistent panel size along the run. 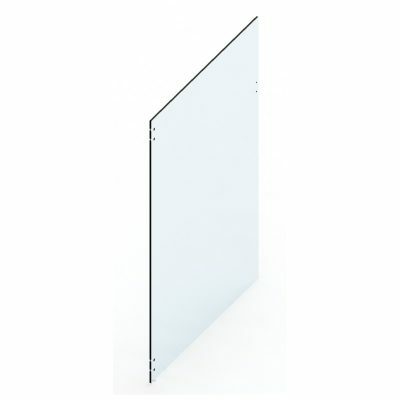 The Polaris hinge panel comes with the “Mickey Mouse” cutouts, which fit perfectly with the various Polaris hinges.